Displayport Male to DVI-D Male, 6ft. 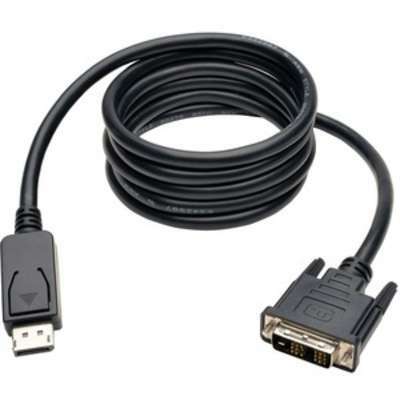 Tripp Lite's P581-006, Displayport Male to DVI-D Male 6ft Cable, allows you to connect a computer with a DisplayPort connection, to a HDTV or Computer Monitor with a DVI connection. Digital Video signals are passed through, with full 1080p video resolution supported. Fully molded ends ensure long life enjoyment. LG Electronics LG 22MC37D-B - LED Monitor - Full High Definition (1080p) - 22"